← Easter Week 2014: It’s a Peeps Party and I Brought the Chicks!! 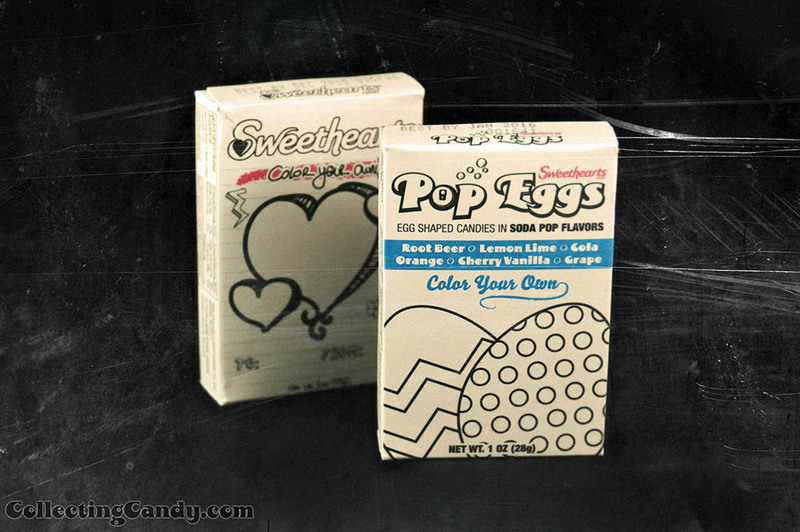 Easter Week 2014: Necco’s New Sweethearts Pop Eggs in Color-Your-Own Boxes! Easter may be a few days behind us but in all the flurry (and fluffy) of the week leading up to the holiday, I somehow forgot to cover one of my favorite new candy releases of the season. So I’d like to stop the presses and issue this late edition Easter Week post. Make the jump to check out a groovy new Easter take on Necco’s classic Sweethearts conversation hearts – Pop Eggs! Back in February, I discussed how much I liked Necco’s new Color-Your-Own Sweethearts conversation hearts packaging. 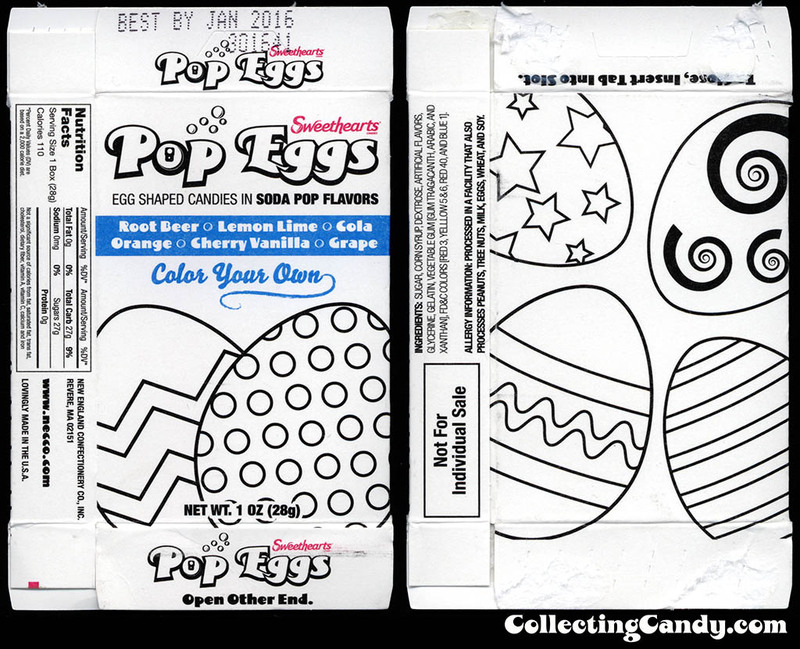 Well, Necco has notched up the creativity even higher for Easter by taking the color-your-own concept and pairing it up with a great set of soda-inspired flavors. 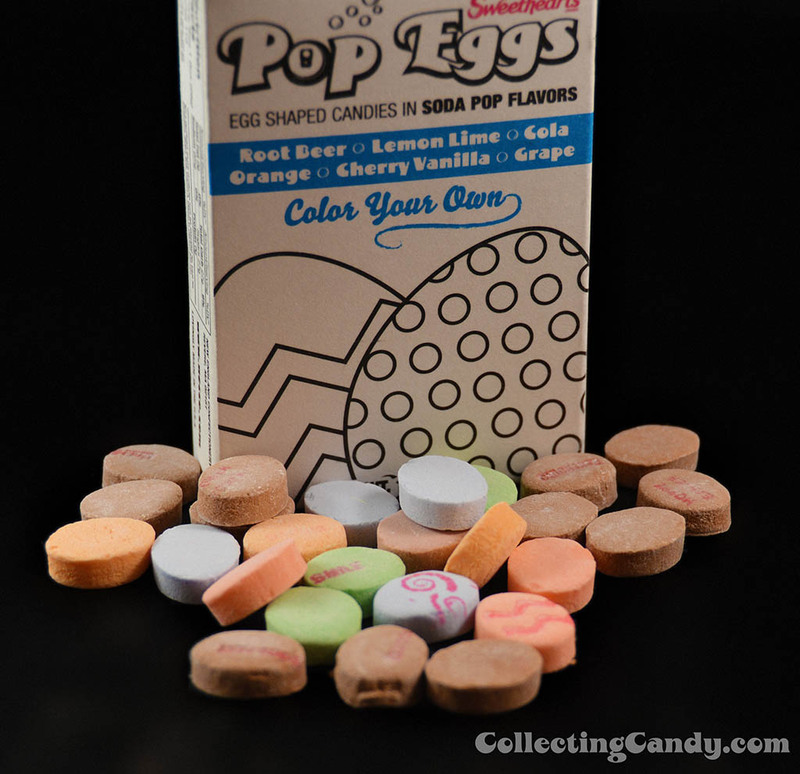 Pop Eggs are egg-shaped conversation heart type candies in the following soda pop flavors: root beer, lemon-lime, cola, orange, cherry vanilla and grape. They look great, don’t they? I think it’s wonderful to see Necco’s color-your-own packaging concept expanded to other holiday seasonal releases. It’s neat to see soda pop flavors making a comeback into confection these days. In the last year or so, we’ve seen Hubba Bubba introduce Dr. Pepper, Orange Crush, A&W Root Beer and Hawaiian Punch flavor bubble gum – all inspired by branded beverages. Heck, I’ve even got beverage-flavor licorice twists that I picked up recently and that I’ll be covering soon. If you add in the classic Willy Wonka treat Bottle Caps – your options for soda-inspired confections are growing. 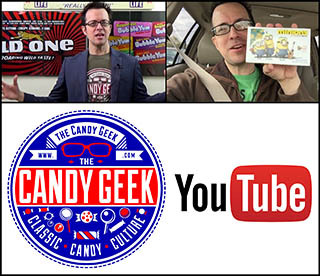 And with that, this ends our extra-final entry into CollectingCandy.com’s 2014 Easter Week coverage. 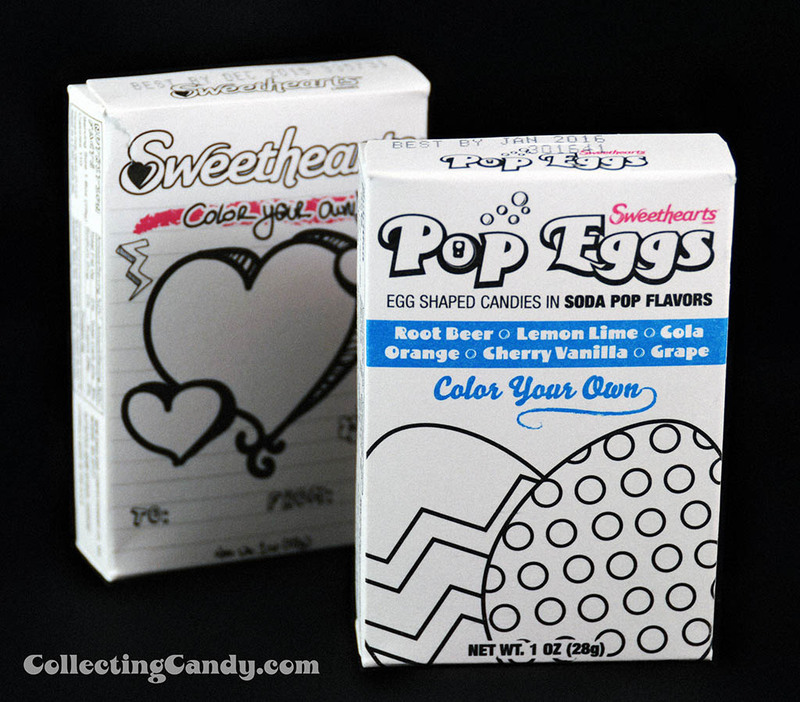 I hope you enjoyed our look at Necco’s awesome new Sweethearts Pop Eggs! This entry was posted in Boxed, Easter, Holiday, Necco and tagged candy collecting, candy collection, candy collector, candy wrapper collection, candy wrapper collector, collectible, collecting candy, confectionery, confections, Easter, Easter candy, holiday, Necco, packaging, Sweetheart, Sweethearts, sweets, vintage candy wrapper, wrapper. Bookmark the permalink.